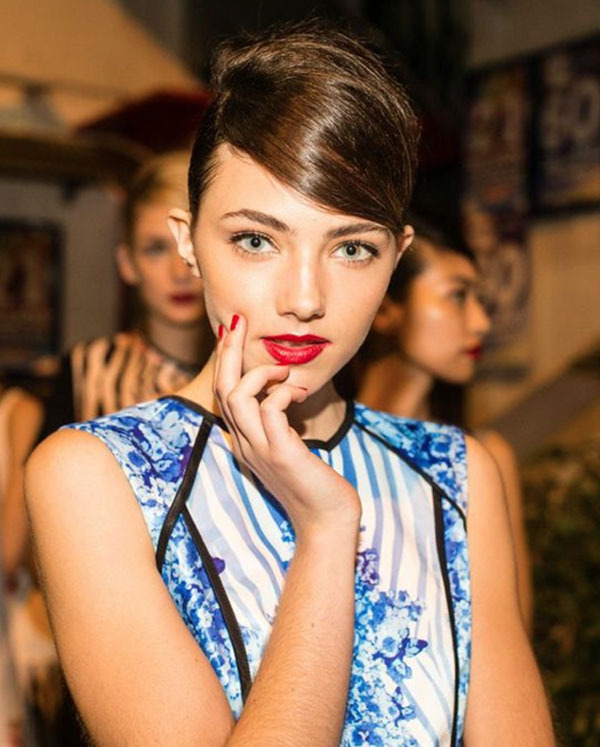 Classic nail colours were the choice for the latest Toi et Moi collection showing in Sydney. The hero colours were BioSculpture Licorice, French White and Breaking Dawn. I’m really crushing on white nails at the moment. Previously a colour I only considered for French tips, all over white nails are the new French manicure. So simple and so chic. What colours are you reconsidering at the moment? Kate Moss is launching a new range of nail polish with Rimmel London called Salon Pro. Kate rarely does video interviews and I loved hearing her talk about her nails and how she wears nail polish. Kate told Grazia UK “I love colour and nail polish is an easy way to experiment with it, adding the perfect finishing touch to any outfit. Just like I always have the perfect playlist to match a certain mood, I really wanted to create a range of shades for every mood and occasion”. The new Rimmel Salon Pro with Lyrca collection will be available from 10 April 2013. The collection includes Kate Moss’ ten new shades that read like a playlist for your nails. Colors include New Romantics, Rock’n’Roll, Classical Red, Punk Rock, Disco Fever, Rhythym & Blues and Kate’s favorite neutral Soul Sessions. Do you like to match your nails or do you like to clash like Kate? You know for those days when you can’t decide what colour to wear? Why not wear them all! I love all these polishes and I’ll show you some fun nail art with this manicure next week. If I had to pick a standout, the Bloom polish, part of the Emily Green collaboration, has incredible depth of color and is a beautiful formula to use. It’s opaque in one coat, though I’m wearing two thin coats of all the colors for this multicolor manicure. Have you tried any of these shades? Which is your favorite?